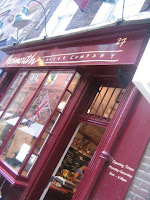 The Find: Since their first roasting here way way back in 1978, Monmouth Coffee Company in Covent Garden has gone from strength to strength. The original branch, on Monmouth Street, is a matchbox of a venue, with a little red bench outside. It is wonderfully snug, authentically atmospheric and pleasingly quaint. The tables are arranged in tiny little wooden booths squeezed in to fit in every available space. The menu, on a chalk board, is kept simple...no fancy add ons or extras here. Just good coffee. Pastries from Villandry and Paul which are presented in a lovely fashion on the counter as you walk in. 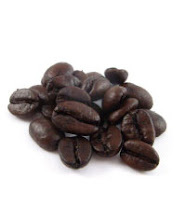 A good selection of carefully chosen and well roasted coffee beans are avaliable to take-away. Despite the fact that Monmouth are now well regarded as one of the premiere importers of coffee in the UK, they haven't lost that authentic touch. Other Monmouth establishments can be found in, and just outside of, Borough Market and are also well worth a visit.